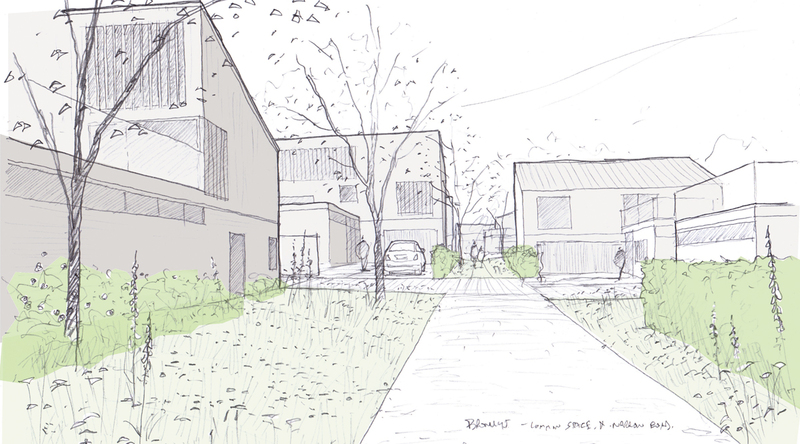 We have recently begun work on our first Welsh housing project with architects Loyn + Co. 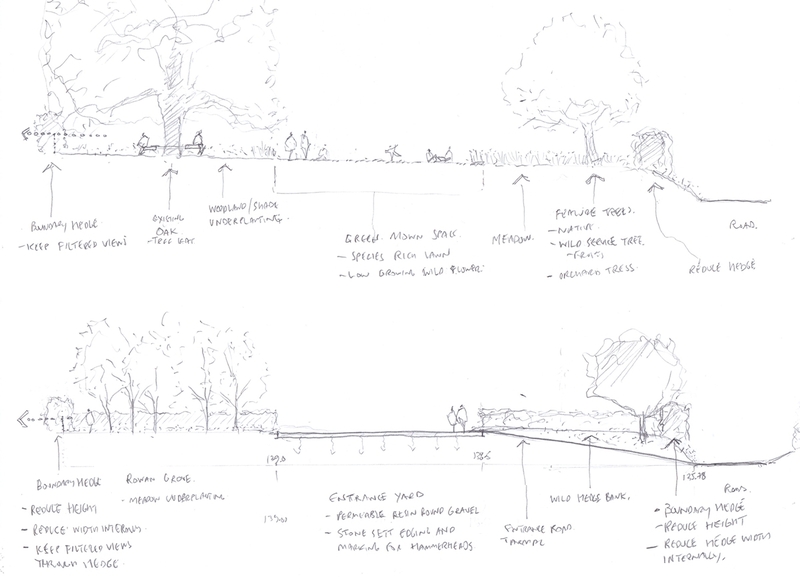 It is a an inspiring and exciting project with a client who wants to create a development that sets a new standard for rural housing, and architects who share our passion for landscape. The development is on the site of an old orchard and the remaining grassland is reasonably rich in wildflowers and is bordered by mature and diverse hedgerows. It has a south easterly aspect, looking out over the Brecon Beacons National Park. Our concept, which arose from the wonderful sense of place apparent as soon as you arrive on site, involves the introduction of new hedgerows to help define both public and domestic spaces, with a central meadow running along the spine of the site. 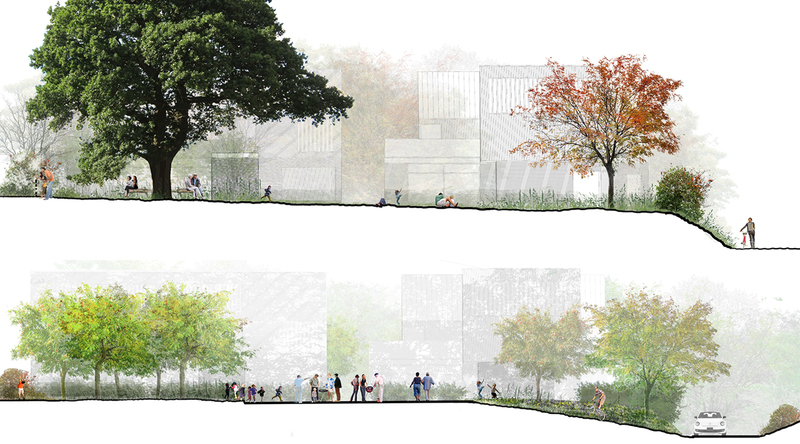 This concept will be developed further during the next design stage but the final scheme will create a naturalistic site that is full of life and colour. 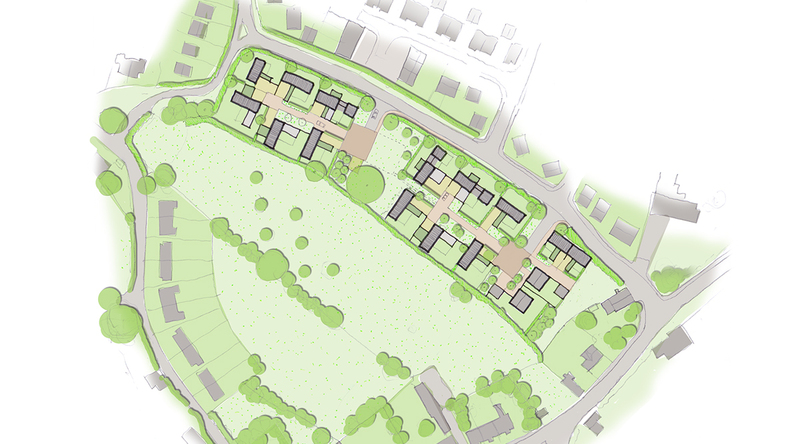 Our concept design arose from our first visit to site and is all about hedgerows and meadows. We used sketchy cross section to explore and illustrate the characters of the spaces though out the site which we developed for the final concept design.